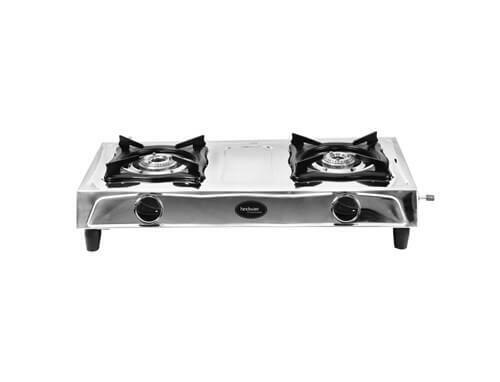 The Hindware TINO SS DLX 2 Burner Gas Stove is a perfect choice for your kitchen. The stove is constructed from high-quality stainless steel which makes it durable and rust free. The cook top has a stainless steel body that makes it durable, brings you the perfect solutions for daily cooking. Providing stability and balance while cooking.